Doctor Perry reassures his elderly patients he can offer warmth, sympathy, and understanding. Doctor Perry is a liar. Yeuwww! Do not read this book if you are squeamish! But do if you want a hoot of a creepy read – and one that will make you think more about paying attention to your kids and looking after the old folks!! 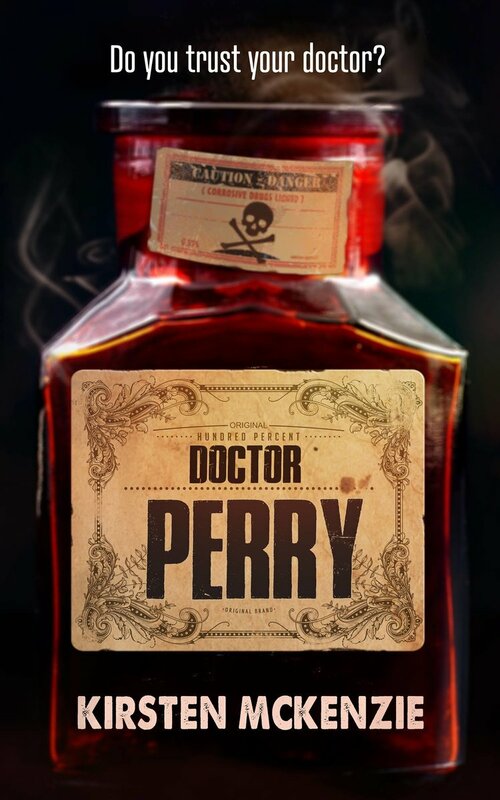 Doctor Perry is always on the lookout for new patients – he has to be, so many of them disappear. He is ageist, sexist, and a psychopath – none of which rings warning bells when you are in pain or powerless, and faced with a suave GP. It even took Myra, his wife (the latest in a number), a fair while to think something was decidedly not right with her home situation – given the endless number of foster children she has had to look after. And his office assistant (the latest in a number) just thinks he’s a typical arrogant boss. 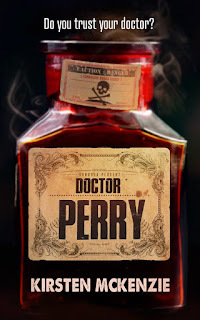 On Doctor Perry’s rounds – and part of his demonic enterprise – is the Rose Haven Retirement Resort, where the poor inmates are treated appallingly. One resident is Elijah Cone, suffering from arthritis, a guilty conscience and a ruined reputation. Elijah’s happy just keeping to his own misery and ignoring the terrible things happening around him. But when Sulia Patel comes to Rose Haven, the last thing on her mind is minding her own business – and there’s maybe a particular reason she has decided to move in. Added to all the machinations of Doctor Perry and the businesses opportunities spurned from his endeavours, are the latest foster children he brings home to Myra, a pair that could give Doctor Perry a run for his money in creep and gore. DOCTOR PERRY is set in Florida, “where you were either retired or planning for your retirement”, and is a no-nonsense thriller/horror, the plot clips along, the stories all lock together, and the characters are varied. My only complaints are that it ends bit abruptly, I would have liked a bit more background and context to the Doctor’s evil enterprise, and I also thought there would be more involving Emily Jesmond, the copper who had a reputation in the force of being a nuisance but getting the job done. And the eBook version does have a lot of text errors. But aside from these minor points, I squirmed and winced my way through Doctor Perry with glee.